The Relentless Builder: MUSIC: Ik Worships - "Look At Me Now"
MUSIC: Ik Worships - "Look At Me Now"
Akamaranma was the very first single by IK that I had featured here. As at that time, his stage name was the same as his real name, i.e. Ikpemhosi Amakhabi. Fast forward to many months later, he has changed his name to IK Worships. Thankfully, his style of music has not changed. IK Worships, real name Ikpemhosi Amakhabi is a worship leader and gospel rocker whose first single "Akamaranma" back in 2012 was an instant hit in the christian circles. He has also released No Be Lie and True Christmas which are enjoying massive radio airplay. On his birthday, November 5, he released "Look at me now." This is a song of restoration and healing. Your classic TESTIMONY SONG! 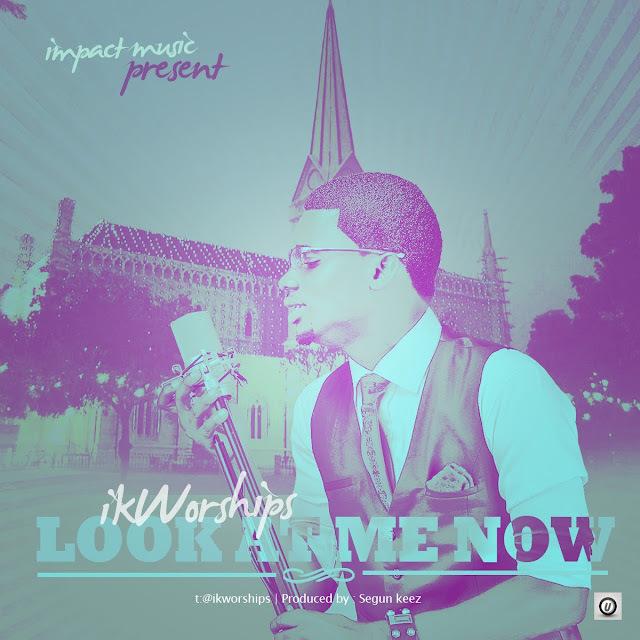 Look at me now was produced by the ever amazing and anointed Segun Keez. Mixed and mastered by Coldflames Beats. NB: Its not a story on his life though, but it captures the heart of many people who go through one form of hurt, pain and defeat. There is always VICTORY. I would love to hear your thoughts. Please Share. Hello, I'm Relentless, a Nigerian woman who is passionate about education and gospel music in Nigeria. Welcome to my world! “Services to the Sovereign”! Queen honours Prince Phillip on their 70th wedding anniversary..
Find out "The Easy way to keeping fit"
I just published my first novel! ZURI PERLE JEWELRY IN TLC'S SHOW "SAY YES TO THE DRESS"
Update: We’re moving our blog to a new home! SouthernBelleKath | My personal style, shoes and a winning smile. Look Book: Number T Women Accessories 2015/2016 Collection. SitPretty Beauty of the Day!!! New trailer to my new shortfilm! EVENT: ALL4TWO PRESENT THE WORSHIP OFFERING 2015 "HEAVEN ON EARTH"
This Phase is over - Bye Blogger! My book, Ms. Unlikely, now available! | Tee Abraham blogging timeless wisdom about life. Strawberry Champagne Layer Cake for Marathon #2! Alvin......The Son I Never Had!!!!!!! Veno + Timi: A Romantic Prewedding Session. Wave Korode: The Life and Times of a Confirmed Studio Rat. CM | This is only our opinion… GRACE can turn a (christian music) mess into a message! Alpha and Omega Music Video by Joe Praize: Worship or Plain Vanity? Feel my pulse and tell me what it reads. Agric. Products in Lagos Markets. The day in the Life of a Naija Mom! A Thousand Miles...The First Steps! My Makeup and Beauty Tour. MUSIC: Tolu Ajibade - "Be My Friend" and "Nobody"
MUSIC: Immortal King - "You Too Dey Bless"
Happy Thanksgiving: Gobble, Gobble, Gobble! Junior Girl, Kneel Down and Fly Your Arms! Would You Consent to An Arranged Marriage? Prom Night: What Would You Have Done Differently?